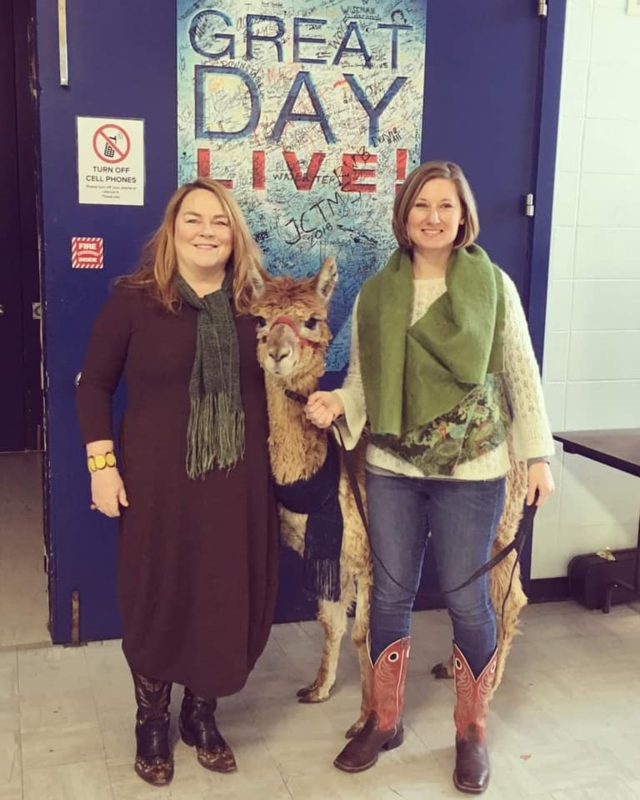 New Dream invited Sara Day Evans, founder of the business acceleration program Accelerating Appalachia, to discuss her work to support regenerative and inclusive nature-based businesses in the U.S. southeast. In this interview, Sara Day provides her thoughts on the connections between agriculture, equity, and consumption—and what we can do, as individuals and communities, to tackle these important issues. In 2015, you started an organization called “Accelerating Appalachia.” Can you briefly describe what it does? We connect small to medium-sized businesses working in Appalachia—small manufacturers of products like food, craft beverages, clothing, shelter, and wellness—to critical business support that will help them (and the region) thrive. We link these businesses, which are typically in the growth stage, and many of which are minority-owned, to essential training, mentors, investors, peer networks, and supply webs. Our goal is to strengthen our regional economy, in the U.S. southeast, by helping our businesses connect to multiple small growers and farmers across Appalachia. Our nature-based businesses support thousands of jobs in food, farming, forest products, fiber/textiles, and wellness/health, while also helping local farmers rebuild our ecosystems and land. We work to ensure that all of our partners—including the businesses, their mentors, and investors—value the mission of thoughtful consumption of “basic needs” products and are committed to people, place, and prosperity. Our newest initiative, Building Soil and Soul, is based on equity-centered design and provides training around regenerative agricultural practices. Ultimately, we envision and support a regenerative and inclusive economy that’s built on the values of soil and soul. What do you mean by “regenerative” agricultural practices? As humans, we have absolute dependence on healthy soil. So, in regenerative agriculture, we focus on this core of land, and soil in particular, and treating it well. Accelerating Appalachia prioritizes businesses that source their products from thousands of local, land-based growers, such as farmers, foresters, and botanical harvesters. Ultimately, it’s about supporting the land. We have to keep farmers on the land. But the cards are stacked against small farmers. We’re losing them. In their place, we’re seeing an industrial-scale agricultural system that destroys our soils, negatively impacts our climate, and fragments our communities. "We have to keep farmers on the land. But the cards are stacked against small farmers. Our intention is to get information about regenerative agricultural practices to local farmers. Farmers will probably pay more attention to their own customers. So we provide support to those customers: the businesses that buy the raw goods—such as grains, botanicals, produce, proteins, fibers, and forest products—produced by the small growers in our region. We train our businesses around regenerative and equitable practices, and then also help connect the farmers to that training. For example, we aid growers with good land-use practices for improved soil health and carbon sequestration. We teach them about things like cover crops, the use of no-till, and having animals running around. These regenerative practices help to improve soil, retain water, sequester carbon, and ultimately strengthen communities. Sara Day and Alvina Maynard of River Hill Ranch sharing the products and benefits of Accelerating Appalachia’s program. Can you give some examples of businesses that you work with? We focus on the supply chain, and how people are being supported. So the businesses that go through our program are not generally farmers; instead, they are businesses that are supporting farmers, by making value-added natural food, beverage, textile, building, or wellness products sourced from multiple growers. Some of our businesses are farmers who make multiple value-added products. For example, we’ve got a North Carolina company, Smiling Hara Tempeh, that’s making beautiful tempeh using hemp seeds, rather than environmentally destructive soy. We connected the company to hemp growers in Kentucky, and today they’re the only company offering soy-free tempeh on the market. 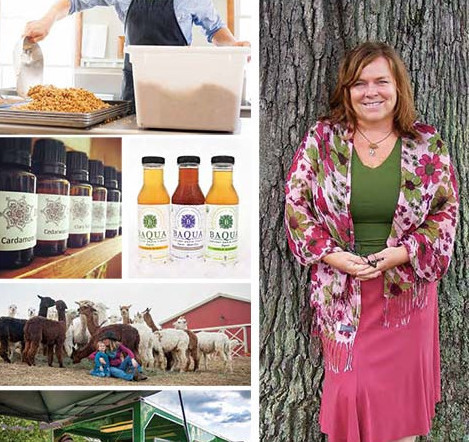 Other food businesses included Baqua Brands, a woman-led Kentucky company that’s developed a line of ancient grain beverages, including the only certified organic sports drink on the market; and Heartland Chia, a farmer-owned Kentucky company and the only chia grower in North America, which encourages chia growers around the world to use sustainable and environmentally sound agricultural practices. Outside of the food industry, we support businesses like River Hill Ranch, which has a herd of 80 alpacas that provide sustainable clothing, red meat, and other byproducts (see video), and Nourish Body + Botanicals, which offers herbal medicines and botanical perfumes made with organic and ethically wildcrafted plant materials. Another company, Barkhouse, is a cradle-to-cradle certified B-Corp that is upcycling logging waste into beautiful bark siding, hiring hundreds of unemployed farmers and training them in regenerative practices. They’re doing this work in the heart of one of North Carolina’s poorest counties, and have also scaled globally. You put a big emphasis on diversity and equity in your work. Can you explain? As an organization, we embrace diversity in every way. After all, diversity equals life. A diverse ecosystem is a healthy ecosystem. A diverse economy is a healthy economy. And a diverse community is a healthy community. In contrast, a “mono-economy” is subject to blight. Central Appalachia is the most diverse foodshed in North America—we know how to grow. So, as part of our mission, we support diversity of all kinds. We actively recruit minority-led businesses, with a focus on entrepreneurs who are women, LGBTQ, indigenous, and/or people of color. I’m proud to say that 75 percent of the businesses we work with are women-led or co-led. "We actively recruit minority-led businesses, with a focus on entrepreneurs who are women, LGBTQ, indigenous, and/or people of color. I’m proud to say that 75 percent of the businesses we work with are women-led or co-led." One of the businesses we supported was Native Touch, an indigenous, woman-owned, veteran-owned company that manufactures natural skincare products. Native Touch is based in Cherokee County, North Carolina, creating jobs in that under-resourced region as part of their social enterprise. The founders are currently taking a break from production to work on their music and other healing modalities in their community, and we applaud their decision. In our program, we prioritize equity and social justice. One of our team members, Desiree Adaway, offers instruction in equity and inclusion. Her experience is in analyzing issues of race, class, and gender through a lens of power and privilege. She helps participants in our program develop their “social justice muscle,” providing critical observations on key issues that will impact their businesses, clients, and communities. This year, we’re also excited to have Antoinette Carroll (who, like me, is a 2018 Echoing Green Fellow) join us to kick off the program with her workshop on equity-centered community design. What are some of the specific populations you're reaching out to? In addition to women and native entrepreneurs, we’re working with black farmers in our region, helping them to attract capital and sustain new nature-based businesses. There’s a 14 to 1 wealth gap between white and black citizens in this country. All you have to do is look at the many examples of redlining, and of the deliberate destruction of black-owned business that happened in places like Tulsa in the early 1900s, to realize that the challenges facing black entrepreneurs are deep and systemic. Our work can only go so far, and no social enterprise in the world can substitute for policy changes that must happen to rectify the wrongs inflicted on the black communities in this country. "All you have to do is look at the many examples of redlining, and of the deliberate destruction of black-owned business... to realize that the challenges facing black entrepreneurs are deep and systemic." For the most part, black entrepreneurs don’t have “friends and family” networks that they can turn to for support. It takes about $20,000 to get a business started, and most black families don’t have access to those funds. My friend Jessica Norwood, who was a fellow with me a few years ago in the BALLE Local Economy program, launched The Runway Project to help close the wealth gap by providing funding to black-owned businesses. The Appalachian region is one of the poorest in the country, so getting seed capital is a huge challenge that we’re working on. We’re also fortunate that we have so many millennials coming into our program There’s a lot of interest among young farmers in starting new, agriculture-based businesses. We’re connected to the Sunrise Movement, a youth-led movement to stop climate change and create good jobs in the process. How did you find yourself creating a nature-based business accelerator? I’m a sixth-generation Kentuckian and have worked with communities and small businesses across the southeast for over 20 years. I have degrees in geology/hydrogeology and a background in water law. Early in my career, I was instrumental in developing Kentucky’s groundwater protection programs and later developed the state’s first ongoing solid waste management fund. Later, I served western North Carolina’s hardest-hit counties by developing sustainable economy plans that fit with the people and place of the region, and created that state’s Green Economy Resources Directory. I’m particularly proud of the program I developed and implemented to install clean energy systems on farms in western North Carolina’s high-unemployment counties, while also training high school and community college students in clean energy installation. In 2010, there was a big shift in the political climate in North Carolina, and my program was cut. In our division alone, 13 people lost their jobs, mostly women and women of color and many of us in middle age. But I persisted in the work, building Accelerating Appalachia as a nonprofit to continue to solve for our economy and ecology through entrepreneurship. Who or what were your main influences? 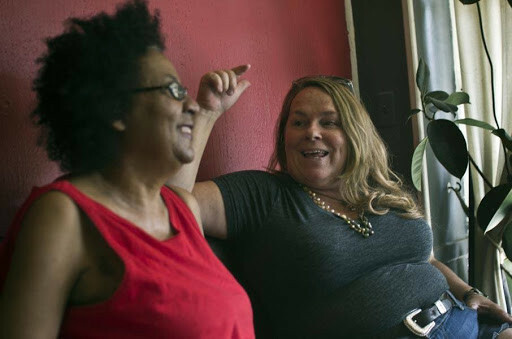 Sara Day and bell hooks yakking it up in Berea, Kentucky. My parents were civil rights activists, and I grew up in a world of anti-war protests, activism, social justice, and service to community. Throughout my life, I’ve been engaged in the constant unpeeling of what my friend and mentor bell hooks has called the “white supremacist capitalist patriarchy.” It’s systemic by design, and whether we acknowledge it or not, we are all a product of that design and are influenced by it in one way or another. I do whatever I can to find ways to dismantle the barriers for those who are unfairly impacted by this system. In addition to my parents and children, my most profound influencers are my lifelong friends Wendell and Tanya Berry. Wendell, a dear friend, is often called the “father of sustainable agriculture,” and his thinking and writing have deeply influenced me. I’ve internalized this call in everything I do. I am deeply committed to people, place, and prosperity, in balance with nature. Through my work, I’ve served over 300 communities and small businesses in economic development, entrepreneurship, and environmental protection and leveraged over $250 million for states, communities, and enterprises in service to the southeast and Appalachian region. People in Appalachia have a deep connection to the land. Our region has a long history of farming and producing nature-based products. A lot of folks don’t realize that central/southern Appalachia is at the same latitude and elevation as China’s Ayurvedic regions, and is one of the most biologically diverse regions in the world. With over 1,500 seeds in cultivation, we are North America’s most diverse foodshed. But our economy has also been extractive, ultimately undermining what makes our region great. We’ve relied for decades on just a handful of industries—textiles, logging, tobacco, and coal—that have exposed families to high risk of job loss and pollution. Coal from Kentucky provided 40 percent of the nation’s energy for over 50 years, taking a toll on the health and wealth of our region. For a long time, Appalachia was also known for its furniture and textile industries, based on the region’s abundant forests and farming. But much of that business went overseas long ago in search of cheaper labor. Recently, we’ve seen a huge collapse of the extractive industries. When the tobacco industry went under, it was huge for our region—it hurt so many farmers. On the positive side, a lot of programs came out of the tobacco settlement. Also, now that hemp is legalized in Kentucky, North Carolina, and many other states, we are seeing a resurgence in hemp farming and uses in food, textiles, and wellness products. Prior to 1937, when growing hemp was criminalized, Kentucky was the number one hemp production state in the country. Since legalization in 2014, it is leading the region once again. "Now that hemp is legalized in Kentucky, North Carolina, and many other states, we are seeing a resurgence in hemp farming and uses in food, textiles, and wellness products." Wendell Berry’s father, John, was a tobacco farmer in the 1930s. As early as age nine, he saw the collapse coming when his family’s crop brought nothing at the market. He became an attorney and developed the Burley Tobacco Growers Cooperative, and helped support legislation around price supports for tobacco growers. But there haven’t been price supports for sustainable food farmers. The Berry Center is home to the coop model and, like me, is working on incentives for sustainable food farmers. In my work, I make personal commitments to incentives for clusters of small businesses and small growers. The Appalachian region desperately needs to diversify, as does the entire U.S. economy. Through Accelerating Appalachia, we’re trying to bring back, at a deep scale, things like textiles, sustainable clothing, food, and natural building companies. The botanical industry is also important and thriving in our region. Through regenerative agriculture, we can focus on our forests, fiber, and food—the things that make Appalachia unique and strong. Can you talk more about how you support local businesses? Our program aims to accelerate a new kind of Appalachian economy that prioritizes land-based and historically underinvested entrepreneurs. We run a 12-month business accelerator program that includes a three-month intensive and nine months of one-on-one follow-up mentorship. We bring together mentors, peers, thought leaders, and nature-based businesses over eight weeks in the spring, with clustered sessions in Kentucky, North Carolina and other states. As a key element of our new Building Soil and Soul program, we’re bringing in expert coaches in holistic management and equity-centered design. They are joining other expert advisors and mentors in areas like finance, accounting, new tax laws for small businesses, inclusive business practices, value chain development, legal structures, understanding investment, and more—all through the lenses of regeneration and inclusion. Each session includes helping entrepreneurs practice their pitch in each city that we’re immersed in for three days at a time. The pitch is to potential customers, community leaders, producers, and investors. Participants are introduced to businesses in each of the host regions to further their networks and enrich their understanding of implementing regenerative practices. Over the course of the program, our guest instructors also advise each business, often developing lasting peer and mentor relationships with participants. Graduates of our program leave with sound business practices, concrete and tangible assets and tools to move their business models forward, and a lasting network that supports them beyond the programmatic sessions. We also help entrepreneurs connect with a robust network of top investment funds, as well as a growing group of individuals interested in investing through a nature-based lending group. In total, more than $12 million in investment has been leveraged by our business graduates over four years. What do you see as the biggest barriers you face in your work? Everybody loves farmers, but small farming does not pay—it’s work to make it pay. Organic folks are doing a little better, but it’s still hard. The economic incentive system for farming is broken. In the same way that other big industries are given huge incentives to establish themselves in certain regions, so it goes with big agribusiness. These companies receive big government incentives and in exchange are depleting the soil, water, and health of our citizens, and impacting the climate. Another big challenge is that women entrepreneurs, and people of color, are vastly undercapitalized. They often face huge challenges in getting loans, accessing funding, and attracting investment. We see countless instances of ageism, sexism, you name it. I can’t tell you how often, when we’re introducing our entrepreneurs, people will ask “Where’s the man?” behind the business. There’s a lot of talk right now about impact investing, but there are few examples that really prioritize the triple bottom line of people, planet, and profit—of investors who put equity in practice but also integrate the ecology. "There’s a lot of talk right now about impact investing, but there are few examples that really prioritize the triple bottom line of people, planet, and profit—of investors who put equity in practice but also integrate the ecology." To tackle some of these challenges, we’re promoting an investor network, to pool lenders. We identify creative options for entrepreneurs, through crowdsourcing and matching entrepreneurs with local lenders. We’re moving away from the Silicon Valley investment model and focusing on local banks, CDFIs [community development financial institutions], and national networks. What take-home message would you like folks to learn from your work? It’s important to recognize that many people, in many regions, are coming from a place of poverty and a lack of choices and opportunities. A key piece of this is ownership. Through ownership—of a small business, of property—people can build wealth. But if they don’t have access to ownership, they may never get the foothold they need to get ahead. Accelerating Appalachia works with existing businesses that may face bias, helping them to scale and to create good jobs around healthy consumption. These businesses help small farmers stay on the land and use regenerative practices, and connect to peer businesses and mentors that can be an essential support group. At the same time, we all need to recognize our fundamental role as consumers—especially of basic needs items like food, clothing, shelter, wellness, etc. And we need to support this consumption in a way that’s healthy for all communities, and for the planet. As a result, we need to have insight into the businesses that are growing, producing, and sourcing the foods we eat, and the products we buy. "We need to support...consumption in a way that’s healthy for all communities, and for the planet. As a result, we need to have insight into the businesses that are growing, producing, and sourcing the foods we eat, and the products we buy." This means questioning our own consumption. When you’re buying something, it means thinking, “Do I need it—and why?” “What’s it doing for me?” And, more importantly, “What’s it doing for others?” I encourage people to be aware of regenerative work that can go into the consumption of our basic needs, like food. Think about the supply chains that have brought the products to you. Ask: Who’s your farmer? Where’s the produce from? Who’s your grower? What’s my consumption doing for others? For my community? As consumers, we have the ability to harness our day-to-day choices to create a collective transformation. Decisions about what we eat, or where and how we spend our money, represent actions that are part of the building blocks of social movements that are creating a fairer and more sustainable world. All of these facets work together toward creating more just systems for all. How else can folks get involved? Spread the word! Send good businesses in food, clothing, shelter, and wellness our way to apply if you think they have an interest in learning more about holistic and inclusive practices, at a healthy scale. We receive applications from across the globe, and we do accept a few folks into the program from outside the region. 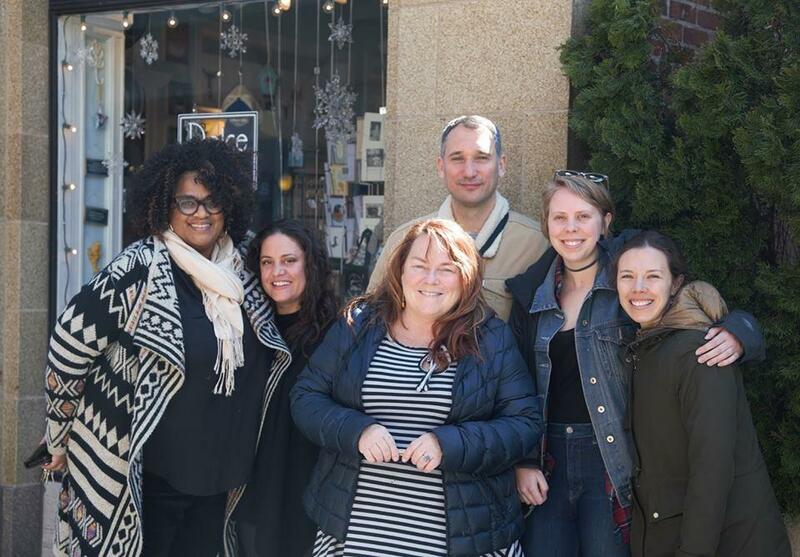 Sara Day and her team traveling the Appalachian region with Lush Cosmetics North America, the globe's most ethically sourced cosmetics company. Applications are open until March 23 (and we may extend that due to popular demand). Also, please consider a donation to our program! 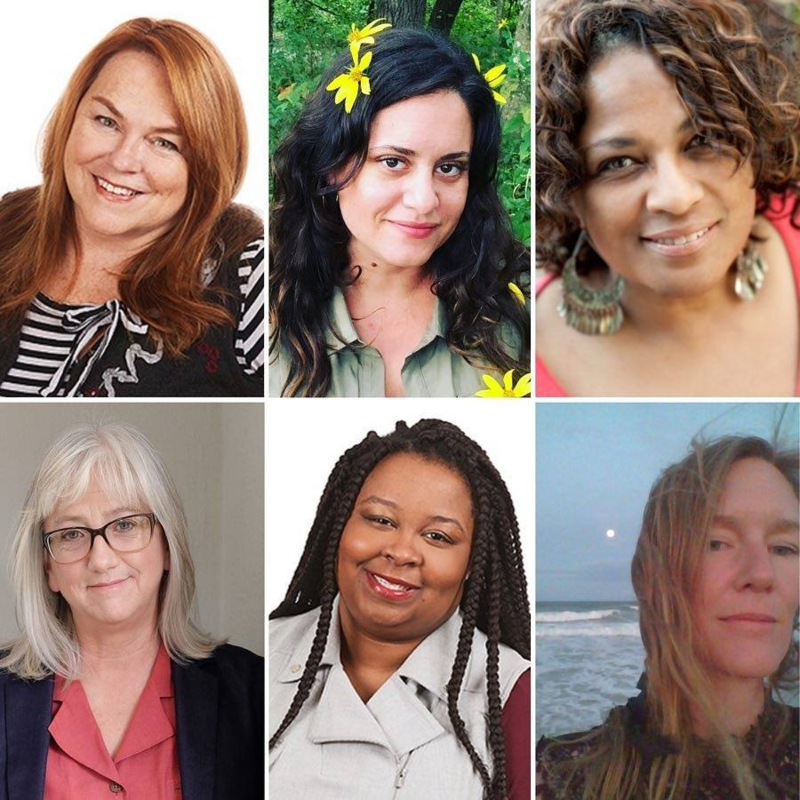 We are a small nonprofit, led by women and women of color doing herculean work. We have demand, and we need the support to keep up with our demand. We’re excited to announce our new Soil & Soul Alliance. This group of dedicated supporters of Accelerating Appalachia will become the funder-based leadership team partnering in our unique accelerator program. We’re inviting leaders to participate who will invest in our work with funds, time, and networking and will likewise benefit in a myriad of ways. The broader business community is also backing our programs. Lush Cosmetics North America, one of the world’s biggest ethically sourced cosmetics companies, supported our Building Soil and Soul curriculum with a $34,000 grant in 2018. When we learned that Lush makes a point to source from small growers, we educated them about the biodiversity of our “lush region,” pored over their raw goods list and organized a week-long trip to meet with about 60 local growers and other organizations, with the goal of enabling them to pursue sourcing here. Their first test project is getting underway this spring, working with a group of farmers in Kentucky and West Virginia. We are likewise excited about the $35,000 in funding we received from the outdoor gear retailer Patagonia, which is pushing for a new regenerative organic agriculture standard. They are also interested in potentially investing in some of our companies that have adopted or are moving toward adoption of this new standard. We also recently partnered with the online lending platform, Kiva, to fully fund one of our businesses in a record six days. Through Kiva, 202 lenders invested through online donations of $25 or more, enabling local farmer Travis Robinson to purchase a trailer to sell his high-quality organic chicken feed in the Lexington, Kentucky area. For more information on becoming a member of the Soil & Soul Alliance, you can contact Sara Day Evans at saraday@acceleratingappalachia.org. You can also follow the work of Accelerating Appalachia on Facebook and Twitter.